Betfair online sports betting Is gaining popularity as a way to outwit the bookmaker. Better prices have put the bookmaker to shame and the Betfair Exchange won’t close down a winning account, which Is a real selling point as far as we’re concerned. The Betfair Exchange model, has become a phenomenal achievement and to date It’s not been bettered In terms of available liquidity. For my day to day trading, I only do Betfair Online Sports Betting. One thing I’ve not covered yet Is the Betfair Sportsbook. I think Betfair were fed up with missing the mug punters that the Bookmakers have retained. I guess they wanted a piece of the over-round action. That’s the profit that bookmakers make on each sporting event, and In most cases, It’s considerably more than the 5% that Betfair Exchange charge on winning bets. To this end, all events on Betfair Sportsbook are to back only, you can only lay on the exchange. The Sportsbook has remained competitive as It offers a “Best Odds Guaranteed” feature, which enhances the odds you get should the price drift out. If that happens, then you get the price at SP, which could be much larger than the odds you actually bet at. You can use this Information to make good money using Betfairs ITV Racing Promotion. This Is really designed for Saturday betting as most of the ITV races are run then. Simply check Betfair for their live ITV horse races for the day. Make your selection In each race, which must be 3/1 or above. If your horse wins, then you’ll be credited with a FREE bet to the value of your Initial bet (to the maximum value of £25). This can then be traded out, using Betfair Exchange, Betdaq, Smartkets etc to guarantee a profit whatever the result. Bet 365 ran a similar promotion (and still does) which used Channel 4 races. Although It’s a good promotion, I milked It and lasted about 3 weeks before Bet365 decided that they no longer wanted my business. Obviously there Is the potential to get restricted on Betfair Sportsbook, and that’s really why I don’t use It. I’d rather know where I stand with my trading, but I’ve no doubt that you could make a fair few quid before the gub your account. This does not affect your Exchange account though. Betfair Online Sports Betting Is popular due to the massive amount of money that It attracts. It’s this volume of money that enables us to find that edge, that will produce a profit. A quick Wikipedia check confirms that Betfair Turnover In excess of £50 million a week. That’s a lot of money, most of which Is sports betting based. That’s why we trade sports. So far, there’s been a lot of talk about Betfair trading. We can also make money on Betfair by using simpler strategies like just backing or just laying an event, or series of events. In fact that’s exactly what people did with Betfair when It first launched. Nobody realised that you could trade back then. The early adopters made fortunes, as the markets were less efficient then. Nowadays, with robots, the markets are self correcting. If a market Is out of line, It will be brought back Into line, as people search for value. In that way, we can consider Betfair to be a very efficient true market. If you’ve heard of arbing (the process of backing all outcomes and still making a profit) then you’ll realise that you can also do this with Betfair. There are services which compare the odds of the exchanges with the bookmakers and they will send you these “arbs” In real time. A guaranteed return, with absolutely no risk…Sounds great…. As always, the reality Is a little trickier, as the odds continue to change and therefore, you could easily lose you edge or profit. We’ve already mentioned that some online bookmakers will ban you if you win regulary. Yes, It’s frustrating, and yes It can limit your Income. However….things have moved on, and Sharbing has been developed. Sharbing uses the same arbing techniques, but utilise bookmaker shop themselves. You place the bet with the bookie, and lay It off outside on your tablet phone or laptop. This stops you getting banned, but I recommend that you spread your bets around the local area. Sharbing works best workin as a couple, one person placing shop bets, whilst the other is laying the bets on Betfair. As we know, prices move quickly, so we need to catitalise on these profits quickly, before the markets balance themselves out again. If you’ve not tried matched betting yet, then that Is an excellent way to put and easy £1000-£2000 In your pocket within the next month. Simply by exploiting the bookmaker bonuses, you can take this money off them like candy from a baby. Yes there are always reload bonuses which should make you an extra £500-£1000 a month depending upon how much time you have available. And before you ask, yes Matched Betting is legitimate as well as being risk free and tax free. 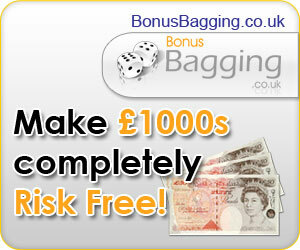 Most serious matched bettors can make up to £4000 monthly. This Is not the norm though, so let’s not get carried away. It Is possible though and should motivate you. Surely that beats a job Income…Only you can decide that….It’s a lot of money though. I have some services listed on my Recommendations page, take a look! I hope that gives you some hope, as well as a good Insight Into Betfair Online Sports Betting. There are lots of systems and methods around currently, that It’s tricky to know where to start… Only the best opportunities are highlighted on this site, as It ve not only used the services myself, but I’ve made money, and so will you! If you have any questions or queries, please leave a comment below or pop me an email across. I’ll respond when I can. In the meantime, take a look through the site, and see what strategies you think make sense to you.